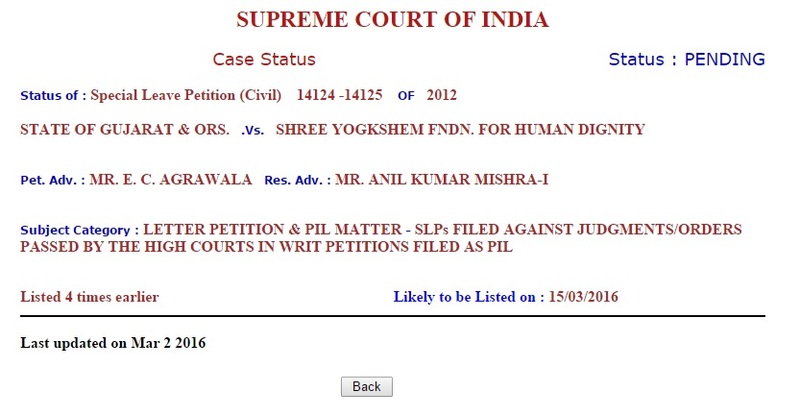 Fix Pay Case Next Date Declared - Check Here To View...!! Supreme Court of India set new date for Gujarat Fix Pay Case hearing on 15 -03-2016. You can check status of Fix Pay case via Supreme Court official wesite courtnic.nic.in or below direct link.